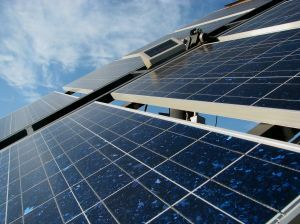 British officials today announced the cutting of support for large-scale (greater than 50 kilowatts) solar photovoltaic (PV) installations supported by the government’s feed-in tariff (FIT). This news has been expected for some time, as the government announced the FIT review in February. However, it’s still a shock for the fledgling UK solar PV market. The rapid review of the FIT has been focused on reducing tariffs for over 50-kilowatt solar PV and also increasing support for farm-scale anaerobic digestion installations. This is due to the government’s perception that large-scale solar poses a threat that was not expected. “I want to make sure that we capture the benefits of fast falling costs in solar technology, to allow even more homes to benefit from feed-in tariffs, rather than see that money go in bumper profits to a small number of big investors,” said Climate Change Minister Greg Barker. With such a marked differences between the before and after tariff rates, this will hurt many of the planned large-scale solar PV plants currently in planning stages. The government reasons that the changes are in line with amendments made to similar schemes in Europe, such as Germany, France and Spain. However, the scale of those markets is completely different, with the solar PV industries in those countries producing hundreds or thousands of megawatts each year, allowing installation costs to be much lower. Because of the immaturity of the UK market, the incentive rates must be higher to encourage rapid growth. The announcement has been met with widespread condemnation from the solar PV industry. Such strong words indicate just how heavily these tariff cuts will weigh on the industry, forcing investors to look abroad and reducing the ability of the UK to meet ambitious renewable energy targets. These compare with the previous tariff rates of 12.1p/kilowatt-hour for AD installation of up to 500 kilowatts. However, the government is also looking at restraining the growth of energy crops for AD purposes and focusing on using waste as the input. Officials are talking to the Department for Environment, Food and Rural Affairs to implement controls in this regard. While the previously described changes to the UK FIT are the first to be implemented, a further comprehensive review of the whole scheme is currently underway and set to be finished by the end of this year. The results of this review has left the UK solar PV industry shell-shocked. It’s likely to prevent the uptake of solar PV on a large scale, which means the potential carbon savings from this technology has also been cut. While there have been more than 23,000 installations since the FIT was introduced 11 months ago, these have been mainly domestic. The total installed capacity from solar PV has been just 64 megawatts, a scale likely to have very little impact in the quest for a low-carbon future. Today’s announcement leaves Britain’s hopes for a significant contribution from solar PV severely dented. Greenbang will be providing further analysis of the feed-in tariff and the effects of the fast-track review on the UK solar PV and AD markets during a webinar at 2 pm GMT on Wednesday, March 23. Registration for “Analysis of the feed-in tariff 2011” is free and available online.